The Ortiz family, missionaries to Mexico City﻿. The story is amazing! It is only God who can put lives together for His will and purpose. He makes no mistake. Every time we go back and think about the way He worked every detail, we are amazed. Learn more about our background. 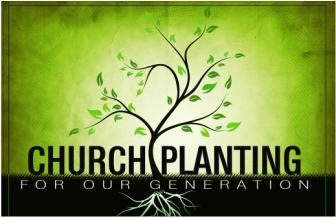 Church planting is not an option but a command. A command that must be obeyed promptly. We are passionate about planting churches in Mexico City that reproduce themselves. Learn more about our passion. You will love it! Come to Mexico and see for yourself the great potential for ministry. Take part in an investment that not only will impact the lives of Mexicans, but most importantly will change your life forever. Learn more about visiting Mexico.